Most of the source code is under the GNU LGPL license. The unRAR code is under a mixed license: GNU LGPL + unRAR restrictions. Description: WARNING: this package will not be updated anymore as there are no direct downloads available. Description: provides ANSI escape sequences for Windows console programs. It provides much the same functionality as ANSI.SYS does for MS-DOS. Description: ANTLR (ANother Tool for Language Recognition) is a powerful parser generator for reading, processing, executing, or translating structured text or binary files. It's widely used to build languages, tools, and frameworks. From a grammar, ANTLR generates a parser that can build and walk parse trees. Description: AVG PC Tuneup. 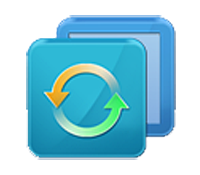 Tuneup software for Windows.